Recklessness can be a bad thing in a commander, getting the people beneath them killed by an excess of innovation and risk taking. But so can the opposite – an unwillingness to act swiftly or change ways of fighting. An excess of conservatism has got soldiers killed at countless points in history. The French defeat by the English at Crécy came from an incredible combination of conservatism and recklessness. 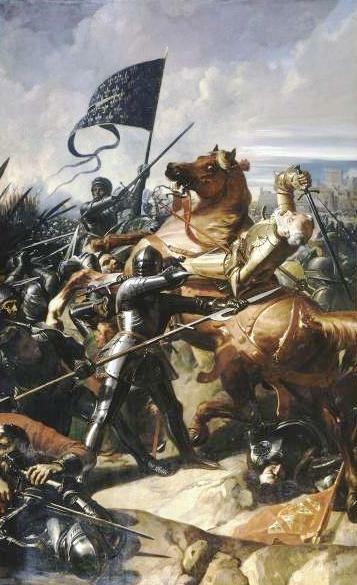 By the time of the battle in 1346, several significant battles had demonstrated that defensive infantry formations could soundly defeat cavalry charges by armored knights. The English had taken this lesson on board after being on the receiving end of it against the Scots at Bannockburn. The French, on the other hand, were unchanging in their views. To accept the growing power of infantry would be to accept a decline in the importance of a traditional aristocratic battlefield role. This conservative approach to tactics ironically allowed some of the most reckless behavior seen in medieval warfare, as thousands of French and allied men-at-arms galloped at the English lines, only to be shot from their saddles by bowmen or cut down by the English. 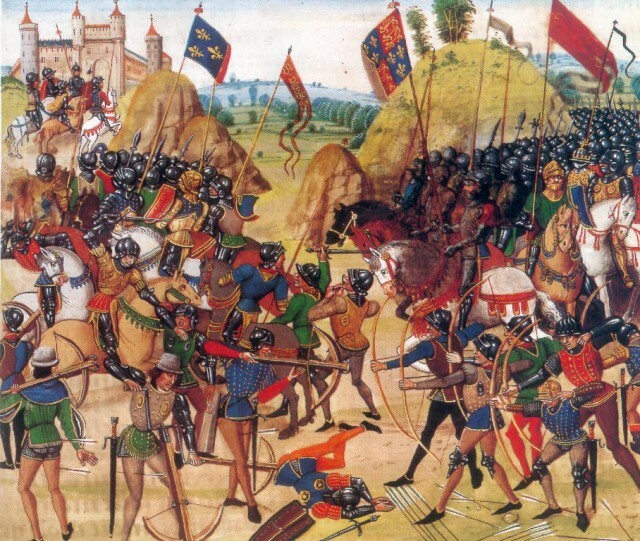 Worse yet, the French failed to learn their lesson, making the same mistake at Poitiers (1356) and Agincourt (1415). The success of their bowmen led the English to underestimate the growing power of other weapons. At Castillon in 1453, the tables were turned, as the English found themselves defeated by superior weaponry in the form of French guns. The very nation that innovated at the start of the Hundred Years War had become stuck in a rut. During the decline of the knights in the 14th and 15th centuries, Swiss infantry became the most famous in Europe, their formations of pikemen and halberdiers cutting a swathe through their enemies. But like the English, they underestimated the growing power of gunpowder. 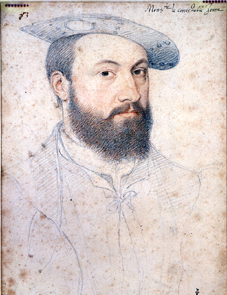 Portrait of Anne de Montmorency. By the Battle of Bicocca in 1522, their enemies the Spanish were fielding formations of musketeers alongside blocks of pikemen – the winning combination of the next two hundred years. But the Swiss had bought so far into their own myth that they didn’t believe they needed to change. Not waiting for their French allies, they charge the Spanish positions, only to be held back by pikemen, shot by gunners, and forced to retreat after suffering 3,000 casualties out of 8,000 men. 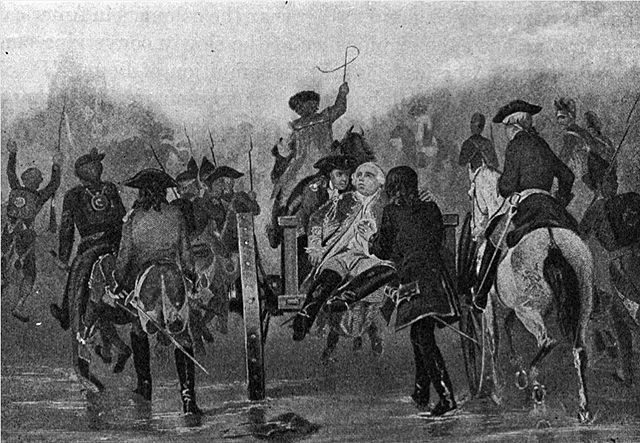 The mortally wounded Braddock retreating with his troops. 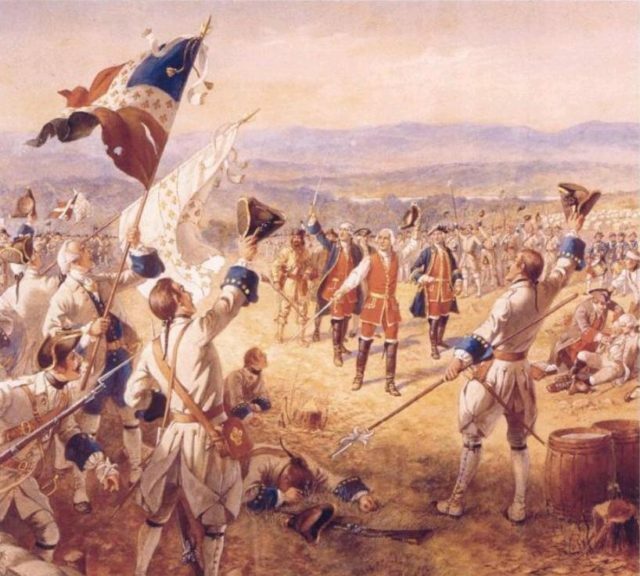 For the French and British fighting, each other in North America in 1755, adaptation was the order of the day. Dense woodlands and broken terrain made it hard to fight in close order, and dispersed skirmish formations became necessary. This was the lesson that George Washington, a colonial on the British side, tried to get across to General Edward Braddock. Braddock was having none of it. As far as he was concerned, discipline was what mattered. And so, as he marched through the forest towards the French Fort Duquesne in June, he did so with his troops in an orderly column. When the inevitable French ambush took place, the British were unable to identify or counter the men shooting at them from the trees. 60 out of 86 officers died, and only when Braddock himself was killed were they allowed to make a disorderly retreat. The Victory of Montcalm’s Troops at Carillon. Early 20th-century painting by Henry Alexander Ogden (1854 1936). Three years later and still in the same war, the British General James Abercromby would make a remarkably similar mistake. Faced with the challenge of taking the French fortress of Ticonderoga, many officers might have considered options such as a flank attack or a preliminary bombardment. Not Abercromby. 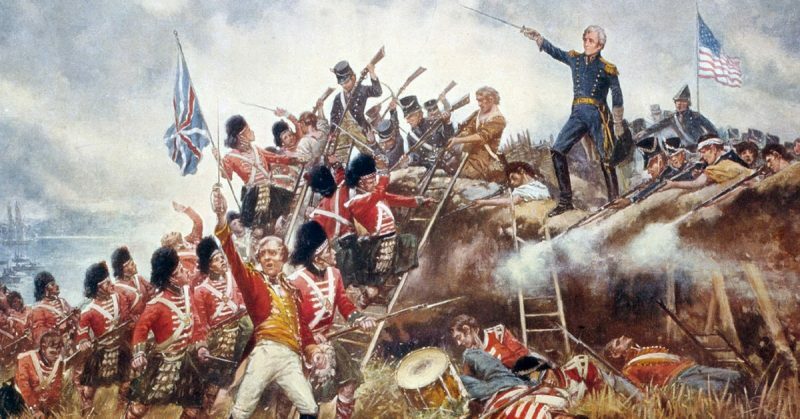 His thinking was so fixed in the idea that orderly British troops could beat anything else that he rejected these options and instead sent his infantry in a frontal assault against prepared positions. Even as they were gunned down in their thousands, he refused to adapt to reality, ordering them to “advance and attack”. 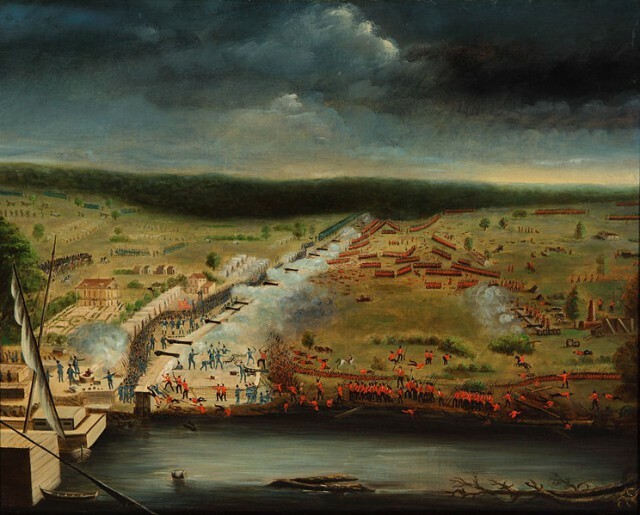 The Battle of New Orleans by Jean Hyacinthe de Laclotte based on his experience as a veteran. Sir Edward Pakenham was no match for his brother-in-law, the famous Duke of Wellington. In 1815, Pakenham was leading British troops fighting the Americans at New Orleans, no news having reached him that peace had been made. It should have been an easy victory for Pakenham, who was leading a professional army of veterans against a mix of regulars, militia, and civilians. Even when Andrew Jackson, the American commander, took up defensive positions, there were smart ways Pakenham could have dealt with it. Instead, he marched his troops straight at the defenses in a disastrous bayonet charge. The British suffered 2,100 casualties, the Americans 21. No matter how many times the British were shown that such advances didn’t work, they still clung to old ways of thinking. Even by British standards, Lieutenant-General Stopford was conservative to the point of near inaction. In 1915, he was put in charge of landings at Suvla Bay, part of the Gallipoli expedition. He had one task – land his men and swiftly take the nearby hills, which were largely undefended. Stopford got halfway through the plan before caution overtook him. He landed his troops, and rather than advance them the required four miles, decided to have them rest and recover. It took days to persuade him to act on a plan requiring speed and decisiveness. 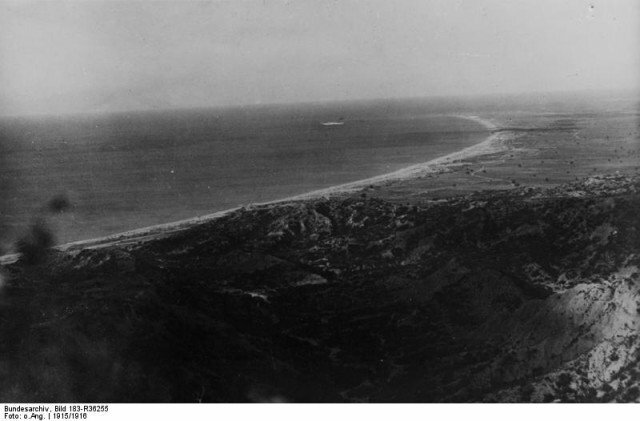 In that time the Turks regrouped and took the critical hills, dooming the chance for an Allied victory at Gallipoli. Stopford was sacked after only nine days, but the damage was done. 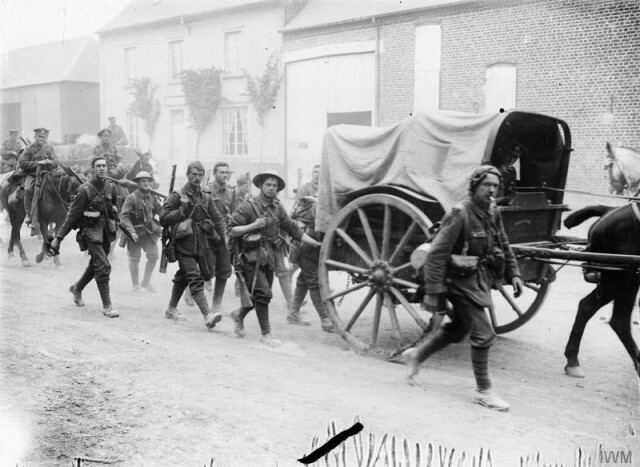 British soldiers march to the Somme, 1916. The Battle of the Somme is the embodiment of the inflexible thinking that dogged the generals of the First World War. Supposed to create a breakout for the Allies through German lines, it instead became a huge and pointless waste of lives, as thousands of men were flung forward in infantry assaults. Despite all the evidence to the contrary, British commanders continued to believe that they could win by sticking to their plan – a plan that essentially consisted of marching masses of men forwards. It was as if all the changes of the war had passed them by.